The Art of Conversation, which was held at the Junior League of Houston and benefited City ArtWorks, featured 23 notable conversationalists. The luncheon was co-chaired by Gregory Fourticq, Nancy Marcus Golden and John Cone and honored longtime supporter April Gauss. Chita Craft emceed while guests chatted with local celebs, including police chief Art Acevedo, Frank Billingsley, Lucinda Loya, Becca Cason Thrash, Scott McClelland, Phoebe Tudor, Alice Weiser, Ed Emmett and Amber Elliott. 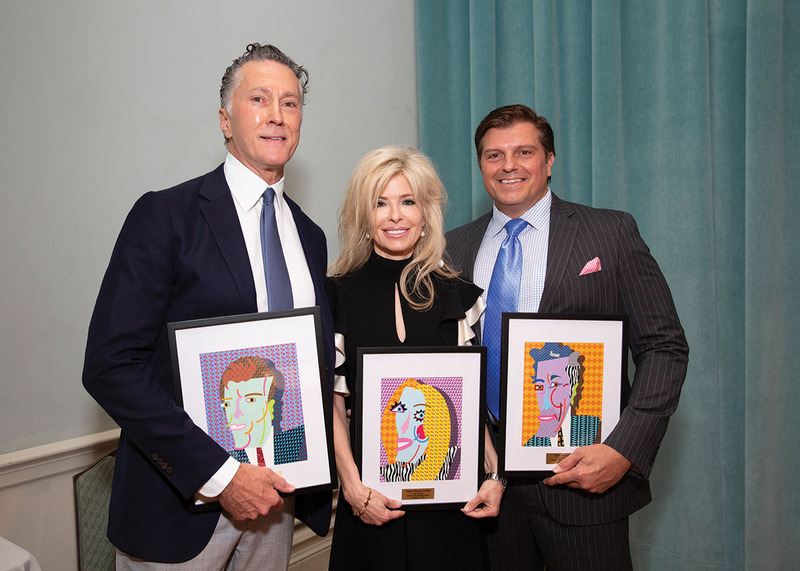 Pictured are (from left) co-chairs Greg Fourticq, Nancy Marcus Golden and John Cone holding their thank-you caricatures from City ArtWorks.